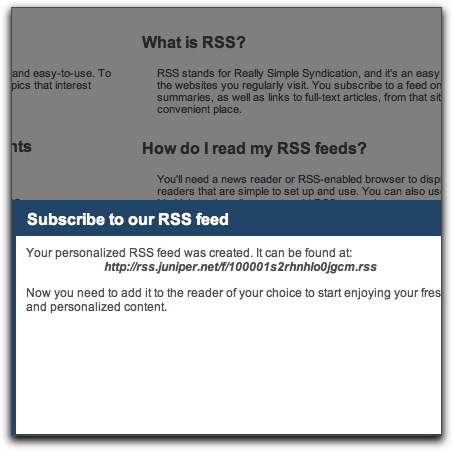 And this gives you a “personalised” RSS feed. in fact, it’s a Facebook-privacy-invading move that tracks your every move. Everytime you hit this URL they can gather information about you. 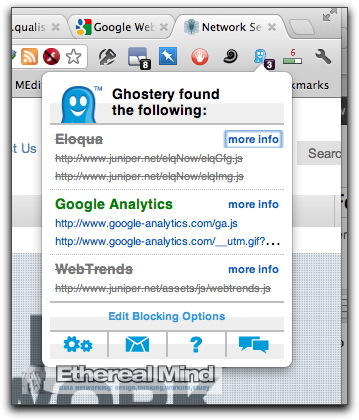 Basically, Juniper has invested in a tracking system that is at least as bad as Facebook or Google. I have a moderate problem with having my privacy being invaded. That’s why I don’t have Facebook account, and take reasonable steps to preserve some of online privacy. 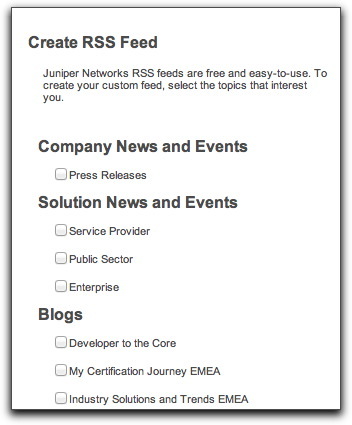 I’m unsubscribed from Juniper RSS feeds. There is no need for this – this is marketing madness. It’s public information that doesn’t need this sort of silliness. How about a some respect for your customers ? PS – SIX Tracking Cookies? 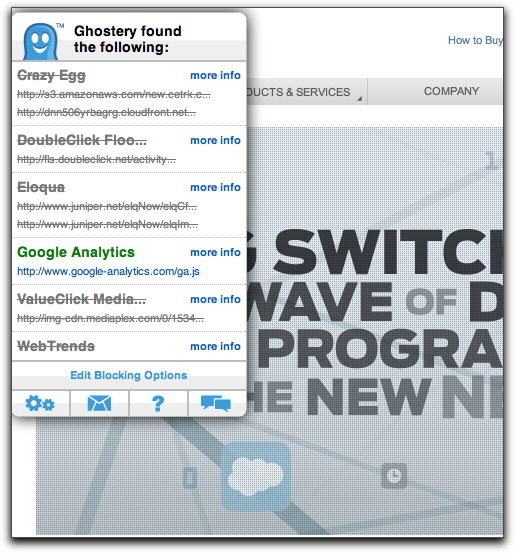 I notice that there are only three tracking web bugs now……. 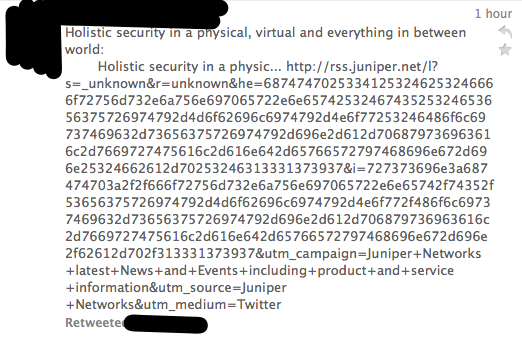 Juniper seems to have a weird relationship with privacy. I like the company, but this and their Juniper Junos Pulse product which can peer into the text messages and camera phone photos of your work (fine with) or personal (not fine with) phone, it leaves a bad taste in my mouth.